when you think of Easter, you think of Easter eggs. but also of the Easter bunny and the Easter bells. at Easter, the Easter bunny brings chocolate eggs. he hides them in your garden, or inside your house. first you have to find them, and then you can enjoy eating them! the Easter bunny likes to be given drawings and pictures. print out the colouring pages and when you’ve coloured them in, put them somewhere in your house or garden where he can see them. 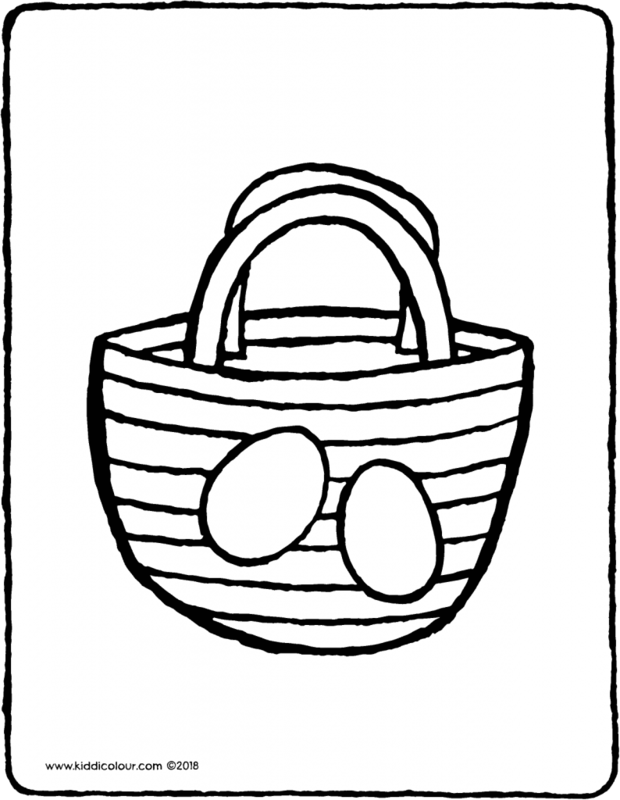 and don’t forget to make your very own basket to collect your Easter eggs in. maths with chicks and eggs. 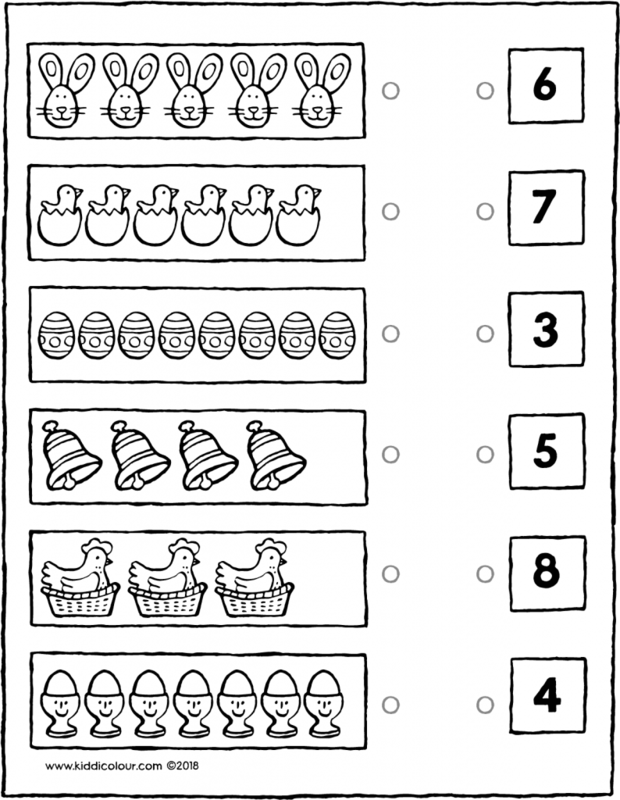 connect each egg to the correct chick. 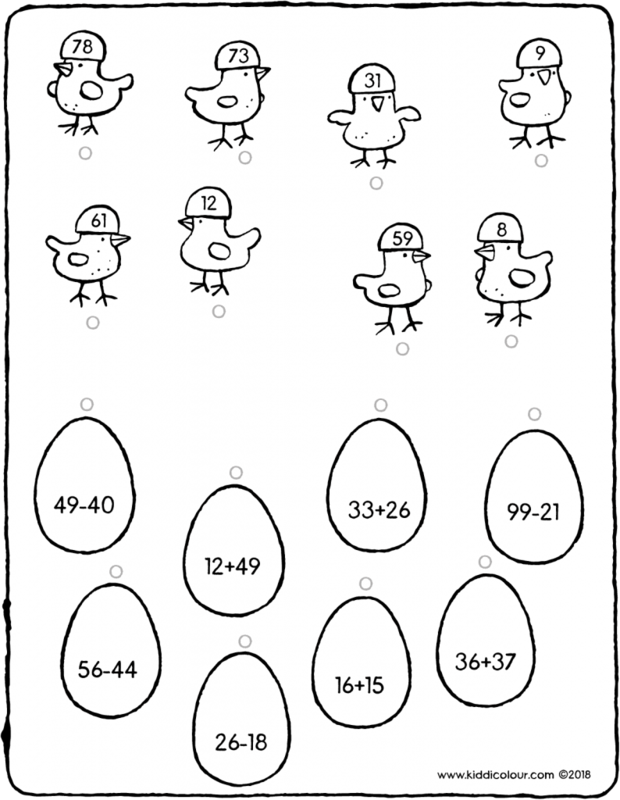 then colour in all the chicks and eggs using colours that you like. a candle creates a cosy glow. print out this puzzle onstrong paper. first colour in the puzzle and then cut it out along the lines into 3 pieces. 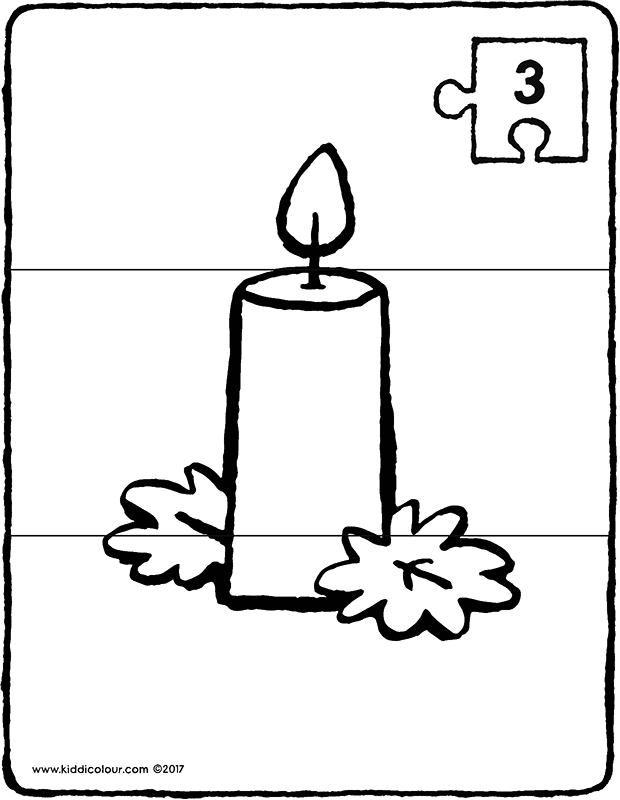 when you arrange the puzzle pieces in the right order, you’ll have a beautiful candle. take a good look at the objects. only colour in birthday-related objects. 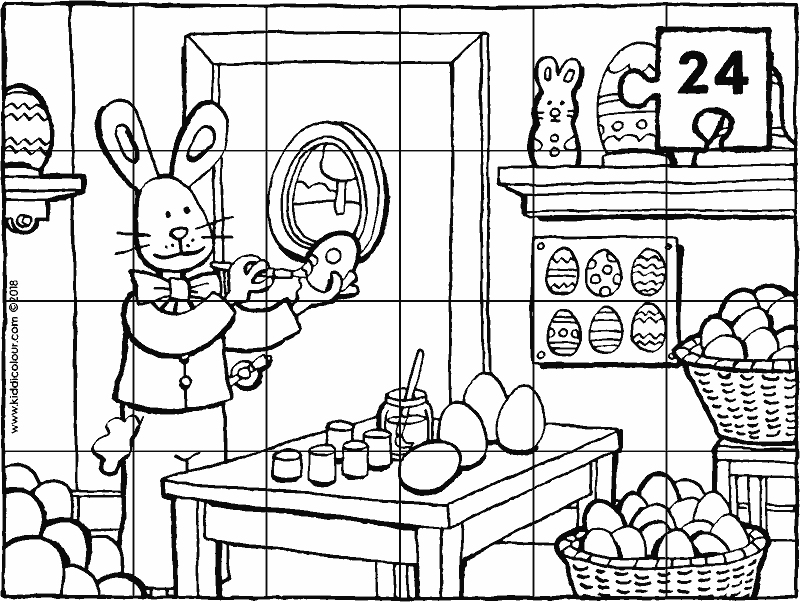 show the Easter bunny how well you can count. how many objects can you count in each box? link each box to the correct number. would you like to do even more games and exercises? download the free Easter book of games (age 4 to 6 years) here. would you like to dress up as the Easter bunny? make your own decorations to hang in the Easter tree. 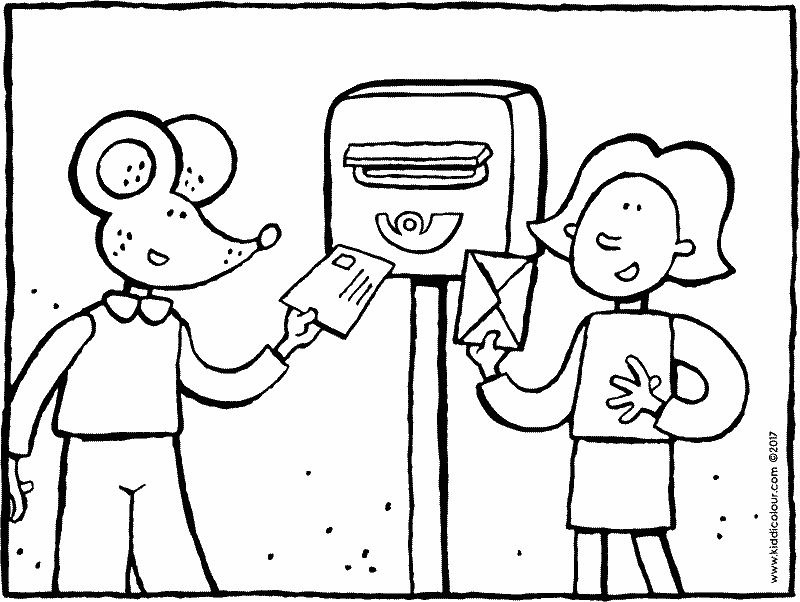 print out the colouring page and colour it in. 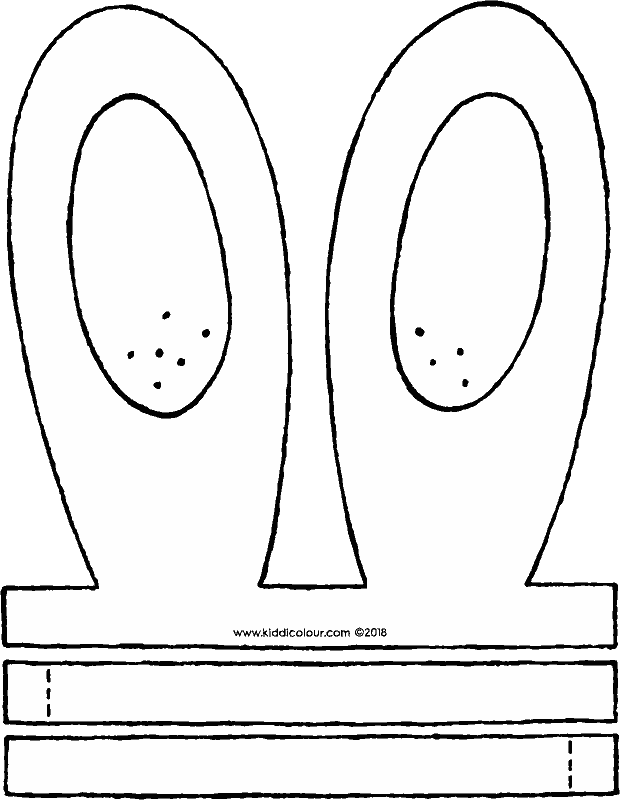 cut out the decorations along the grey lines and fold them all aong the dotted lines. put glue on the inside and stick the two sides together. use a hole punch to make a hole at the top. would you like more craft activities for Easter? then download the free Easter craft book here. 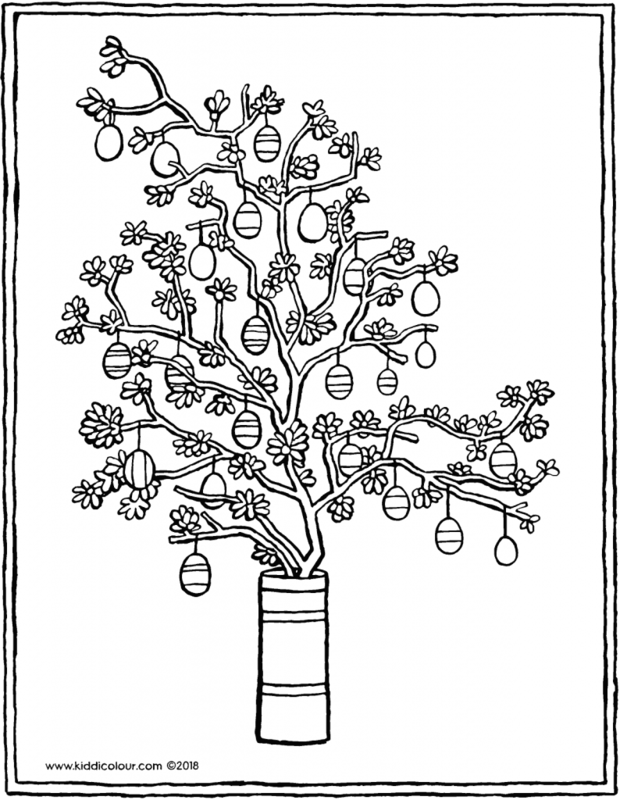 an Easter tree is a branch with leaves and Easter eggs in a vase. if you hang Easter eggs in a tree in your garden, that would be an Easter tree too. Easter is even more beautiful if there’s an Easter tree. 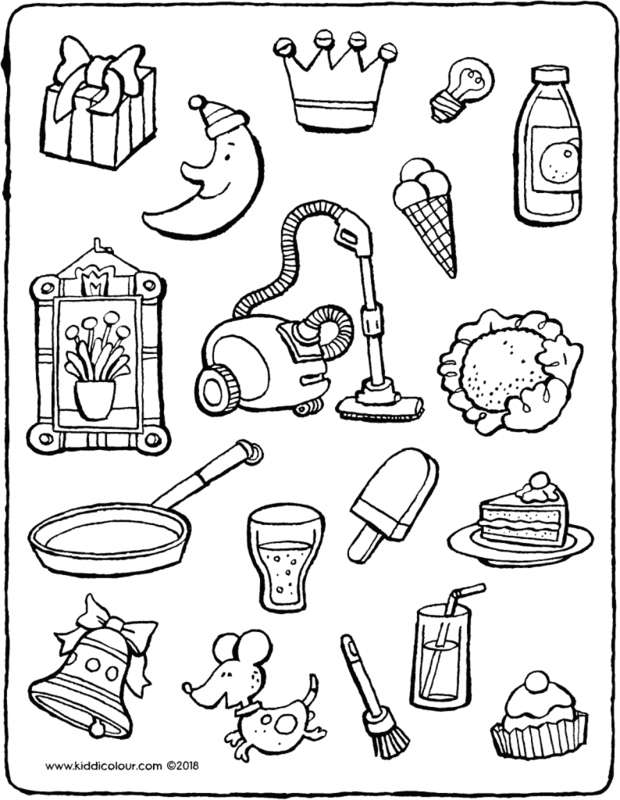 colour this colouring page in your favourite colours. put the picture next to the Easter tree. Emma and Thomas are on an Easter egg hunt in the park behind their house. the Easter bunny has hidden the eggs. Emma and Thomas are putting the Easter eggs in their Easter basket. how many Easter eggs can you count? 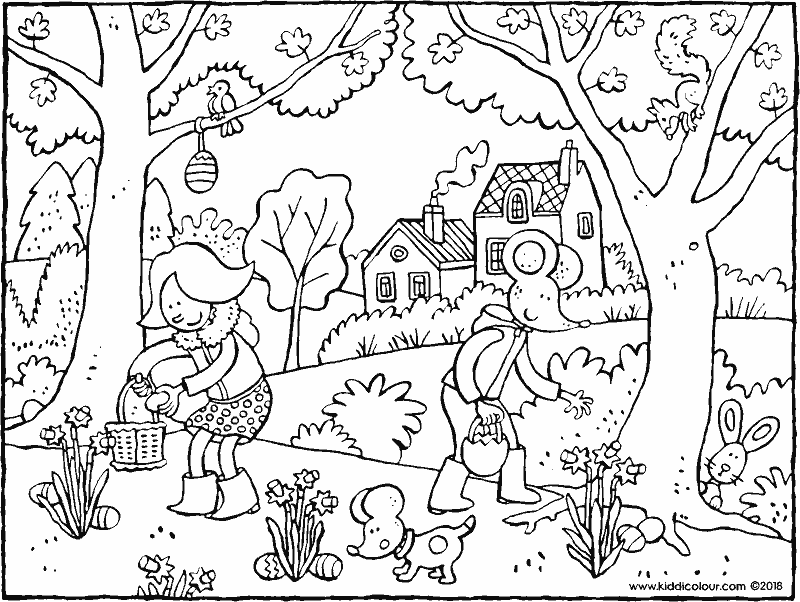 colour this colouring page using cheerful spring colours. take the picture with you to school. what do you put your Easter eggs in when you’re collecting them? in a wicker Easter basket? or did you make a basket yourself? colour in this picture using beautiful colours. first put the picture in your basket. then lay the Easter eggs on top. 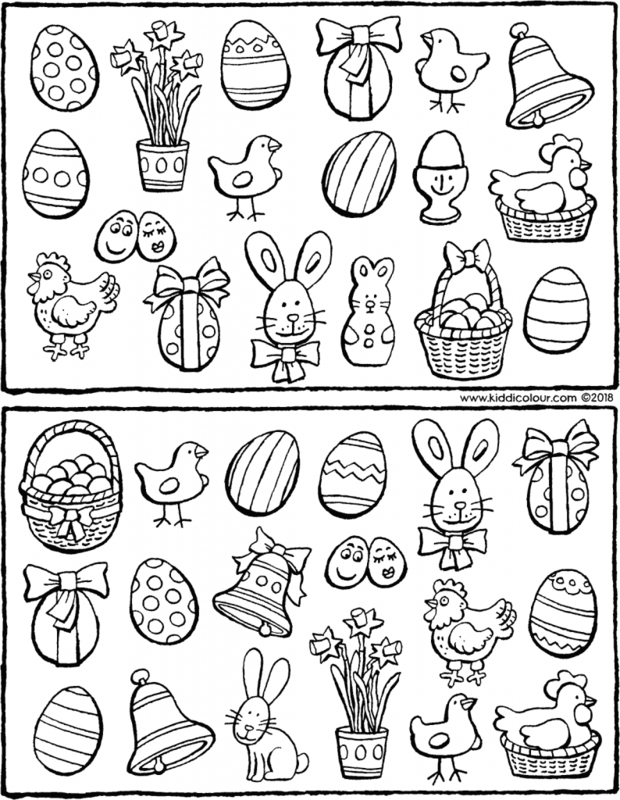 here are 2 pictures, each containing 18 Easter items. 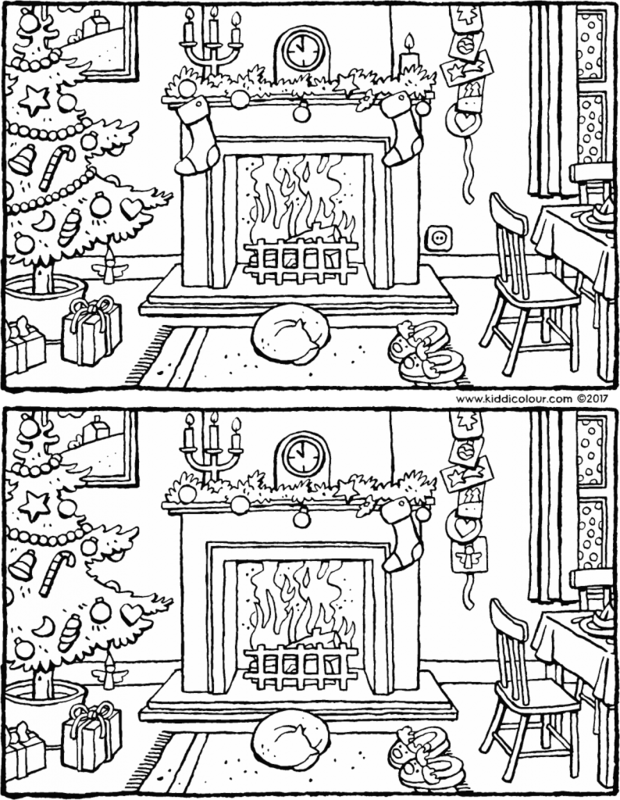 11 of the items in the first picture also appear in the second picture. the Easter bunny is colouring the Easter eggs for Easter. 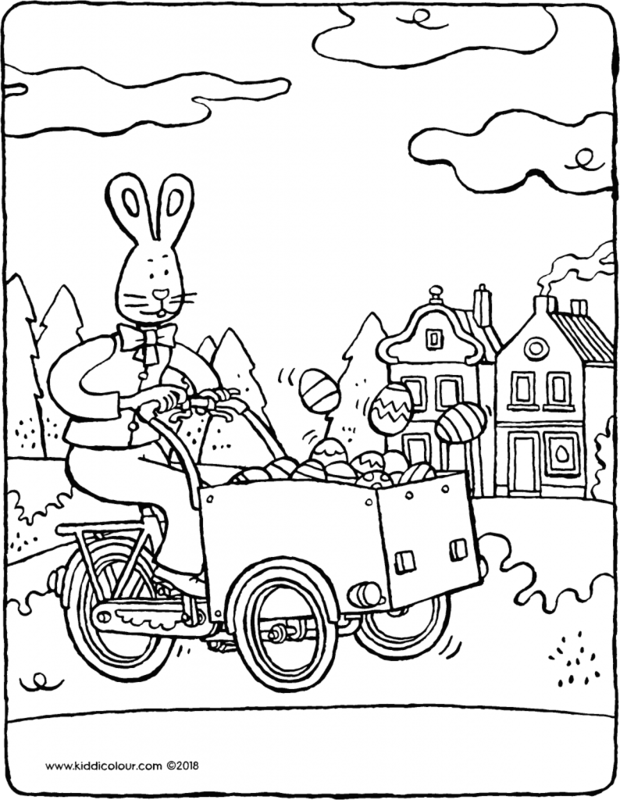 the Easter bunny is speeding towards you on his delivery bike piled high with eggs. all the Easter eggs still have to be hidden. 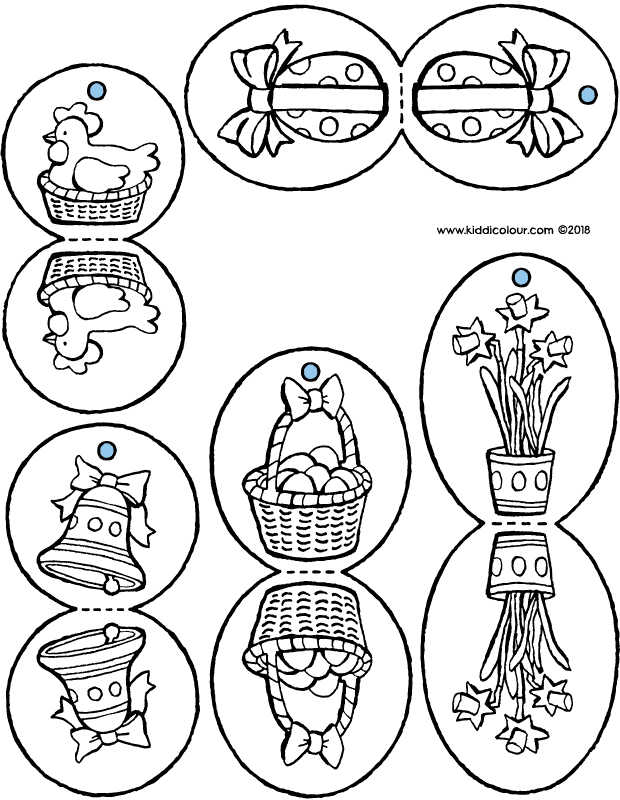 colour this colouring page using beautiful colours. put the picture in your neighbour’s letterbox.